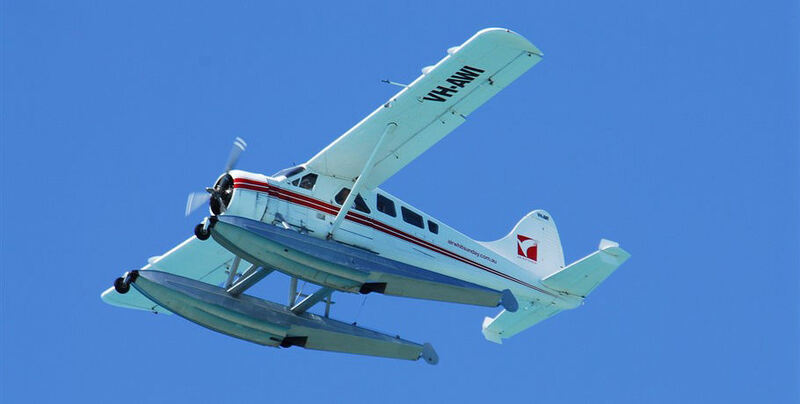 Take your Whitsunday experience to new heights with the Seaplane Panorama Tour! 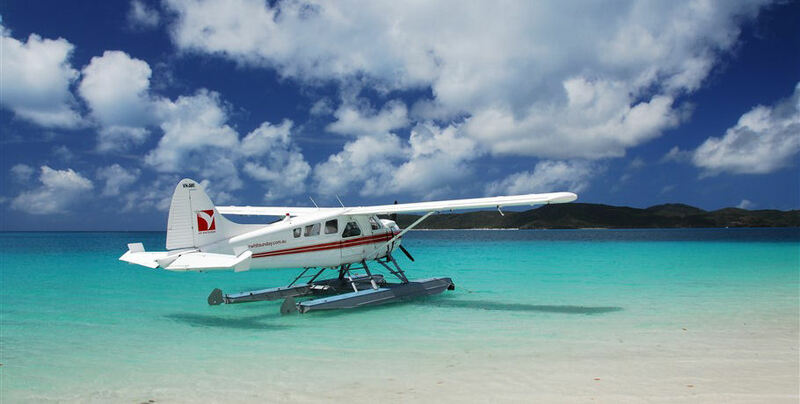 This incredible tour takes flight over magical Whitsunday locations such as the swirling sands of Whitehaven Beach, the iconic Heart Reef, and the stunning national parks of the islands themselves. 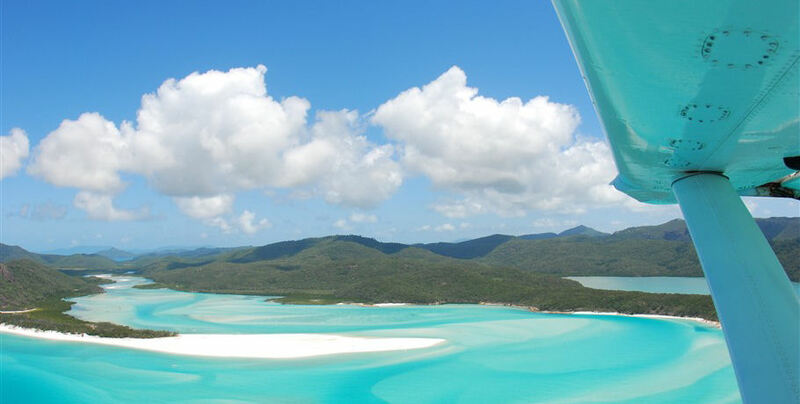 Once you’ve taken beautiful photographs from the air, prepare for landings in two spectacular locations: Whitehaven Beach and Hardy Lagoon. 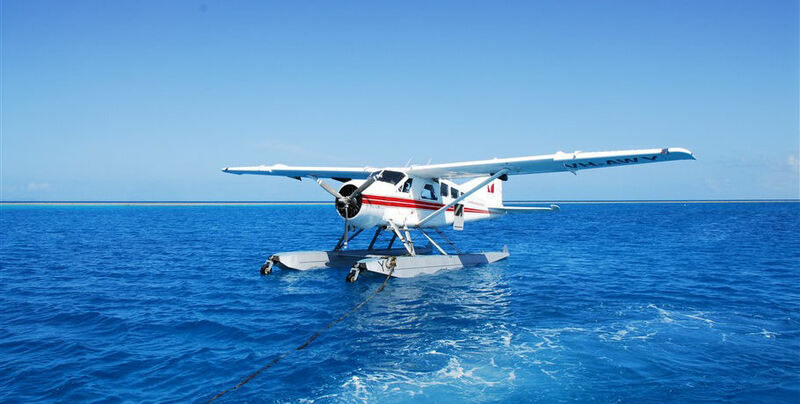 The private pontoon moored in the calm confined waters of Hardy Lagoon boasts a glass bottom boat, snorkelling equipment and flotation devices, as well as open decks for soaking up the sun. 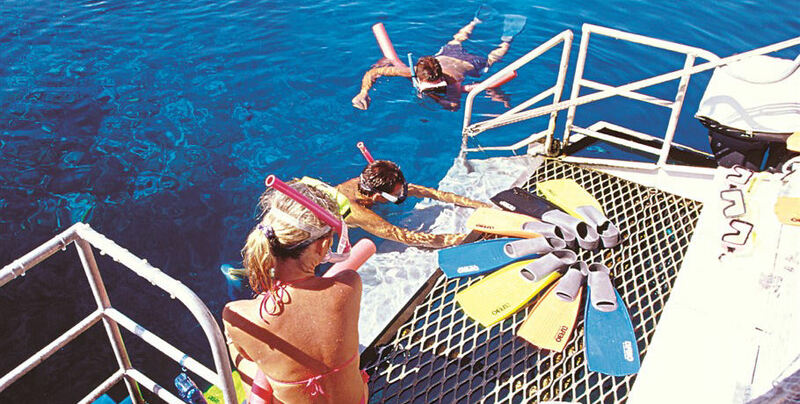 Dive into the temperate waters of Hardy Lagoon, a coral suspended lagoon in the Great Barrier Reef Marine Park, for a personalised coral and marine life viewing experience. 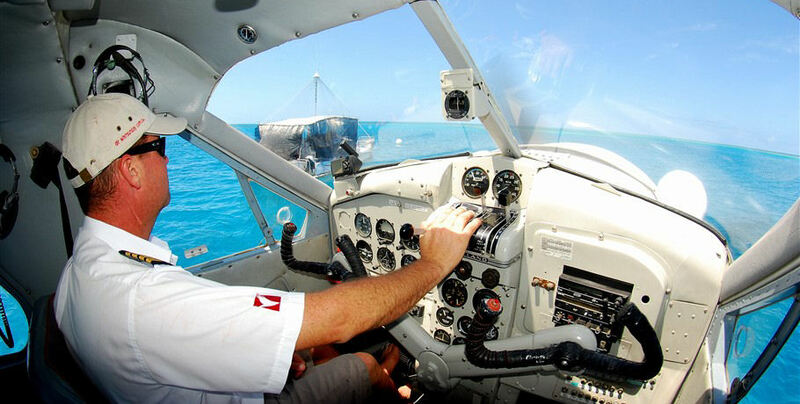 The glass bottomed vessel also allows for dry marine viewing for those preferring to take in the sights with a glass of wine and some snacks. 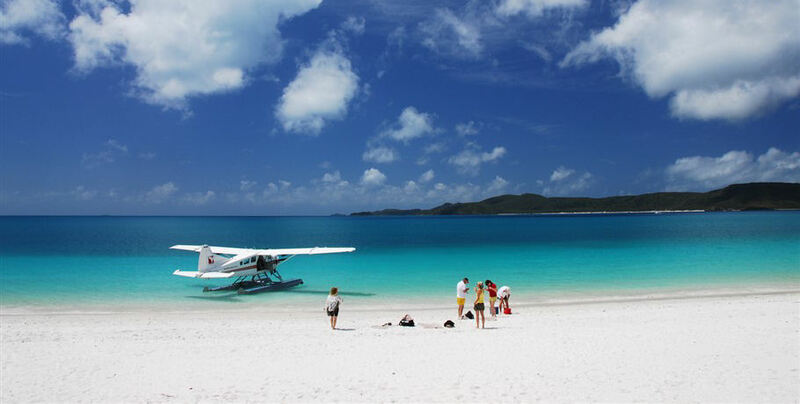 Please make your own way to the Whitsunday Airport to check-in 30 minutes prior to departure. 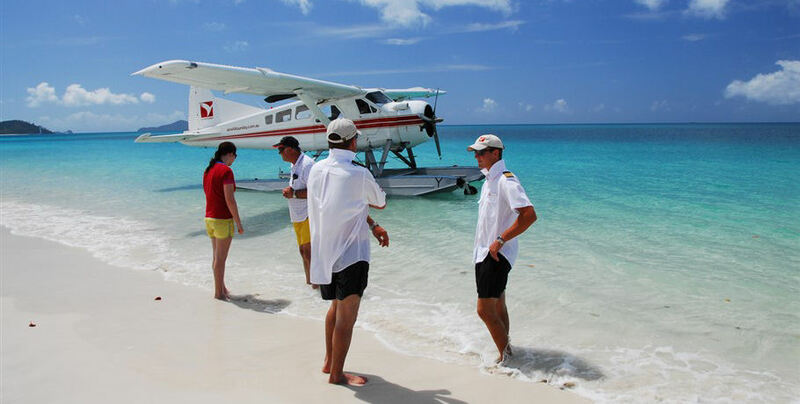 You will be welcomed by your friendly Air Whitsundays crew who will provide a safety briefing in the comfort of the terminal before you board your safe and well-maintained seaplane. 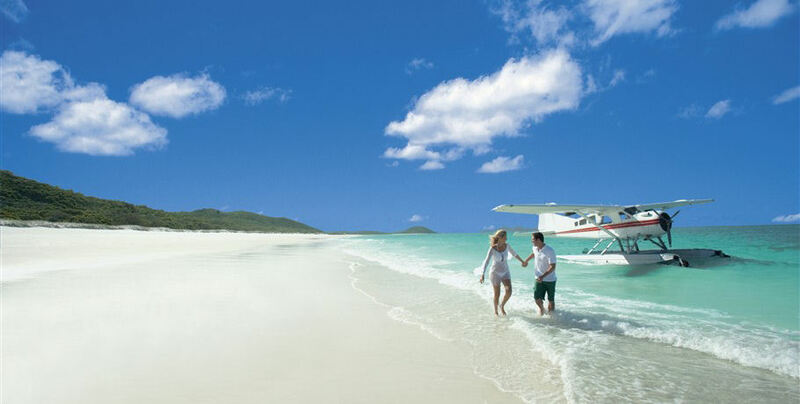 Your seaplane will depart the Whitsunday Airport for your scenic flight to the Outer Great Barrier Reef. 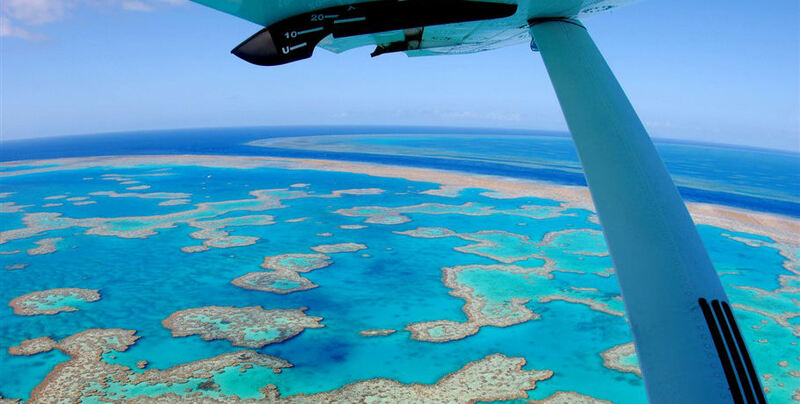 In flight commentary will provide information about the sights as you soar above the vibrant waters of the Coral Sea. 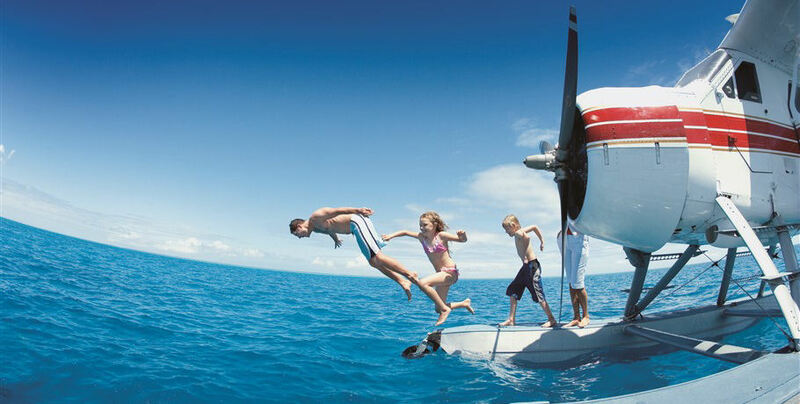 Descend into Hardy Lagoon for two hours of snorkelling, reef watching, and relaxation on board the private pontoon. 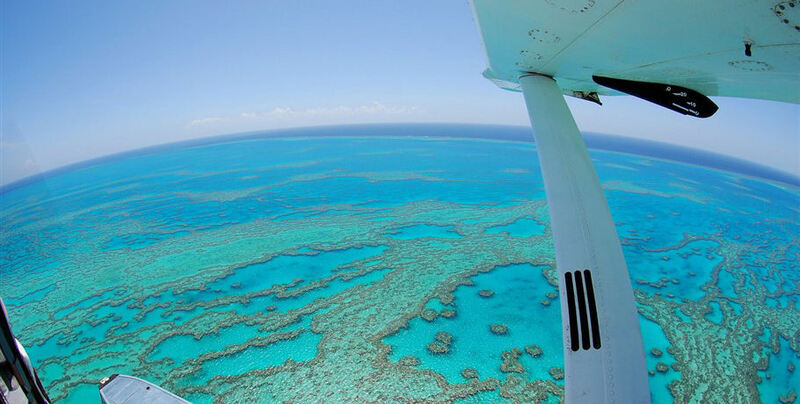 Sip complimentary drinks as you wander through the vessel watching colourful fish and corals from the glass bottomed boat. 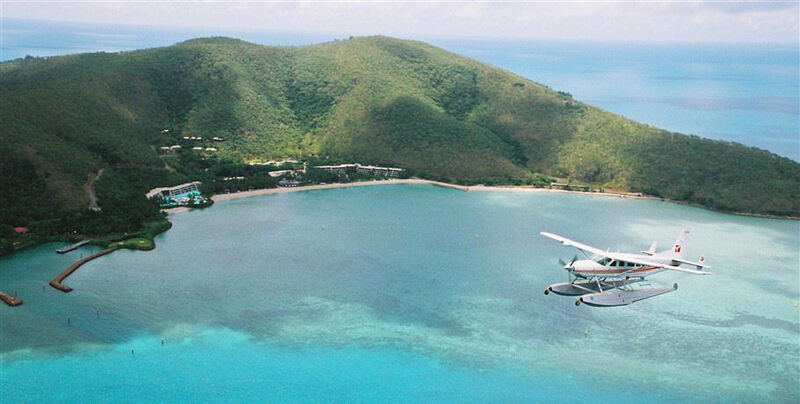 If you’re lucky you may even spot a sea turtle! 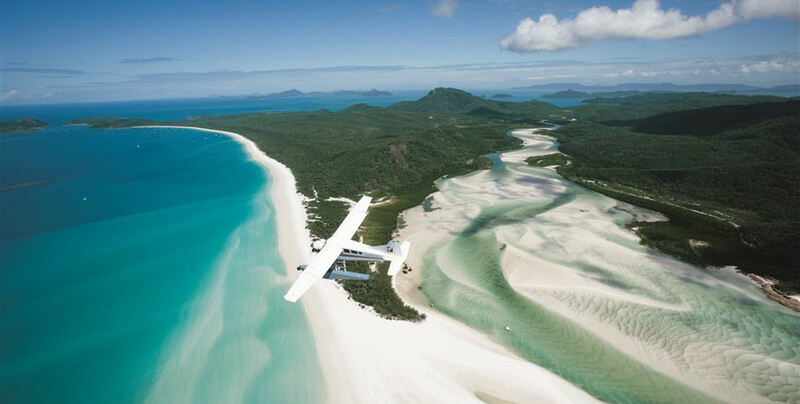 From Hardy Lagoon you will travel to the northern end of Whitehaven Beach. 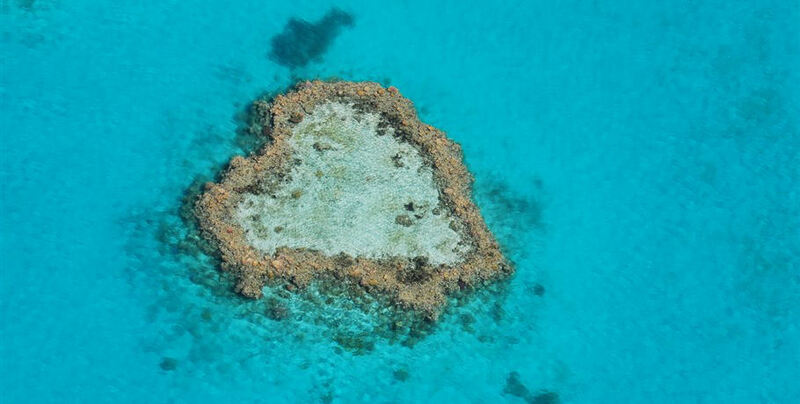 Make sure you have your camera handy as this is where you will fly over the incredible Heart Reef- only able to be seen from the air. 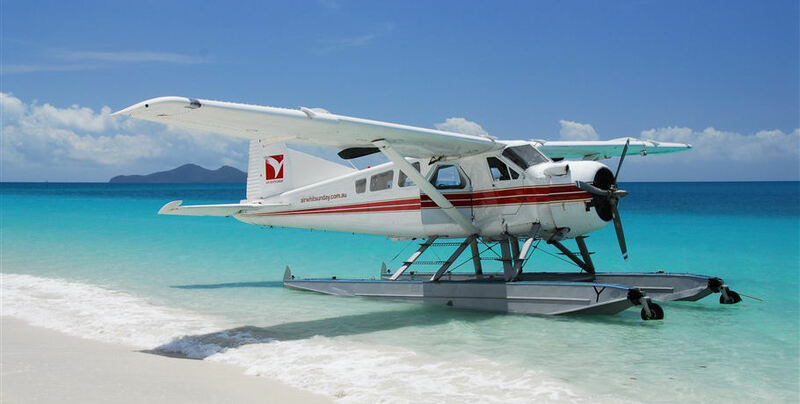 Your seaplane will then fly parallel with the 7km stretch of pure white silica sand that makes up the iconic Whitehaven Beach. 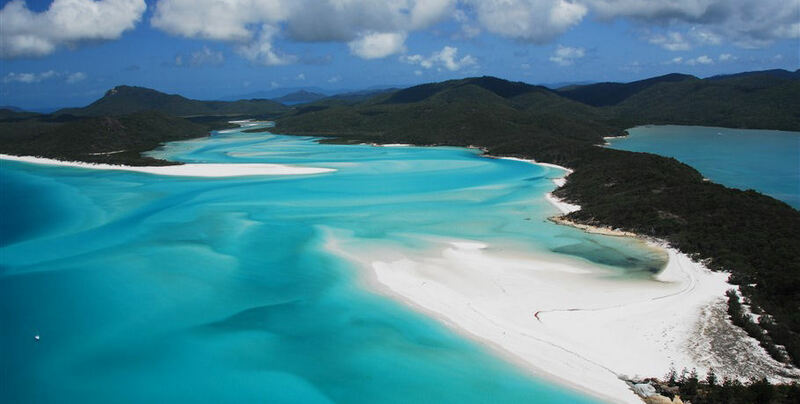 Enjoy a relaxing one hour on the sand or splashing in the cool waters of one of the world’s top 10 beaches! 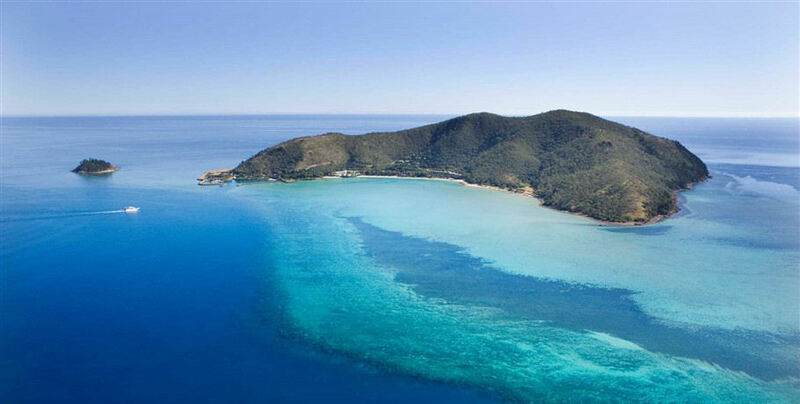 You may be able to see baby stingrays and small reef sharks in the shallows or if you prefer just laze on the pristine sand. 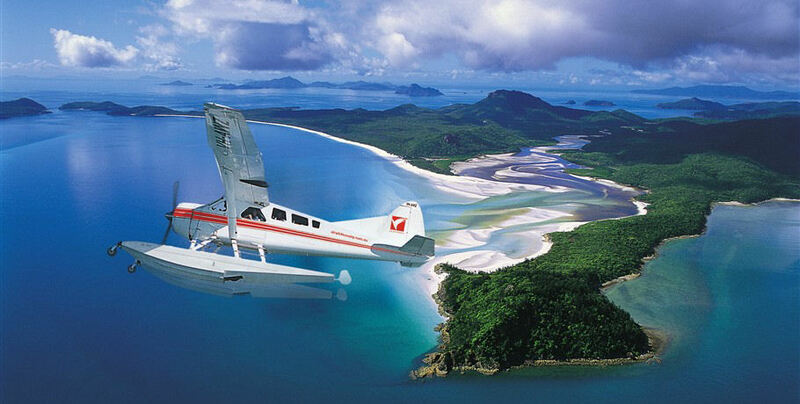 Return to Whitsunday Airport with memories and photographs of your amazing tropical experience!